Approximately 40 species of juniper exist. The most famous of these is Juniperus communis, native to parts of Asia, Europe and North America. The alcoholic beverage gin contains berries from this plant. 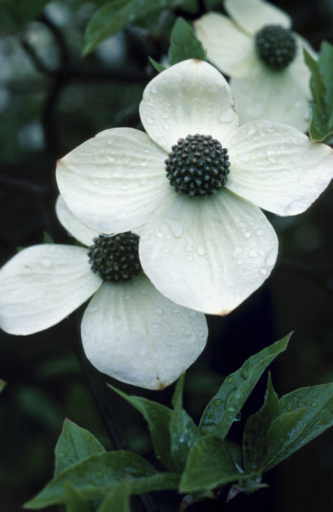 The species range from low, spreading shrubs to 25-foot trees. The most important fact to know before you attempt harvesting juniper berries is that some species of this plant are poisonous and others produce bitter-tasting berries. Make certain you correctly identify the juniper you plan to harvest. 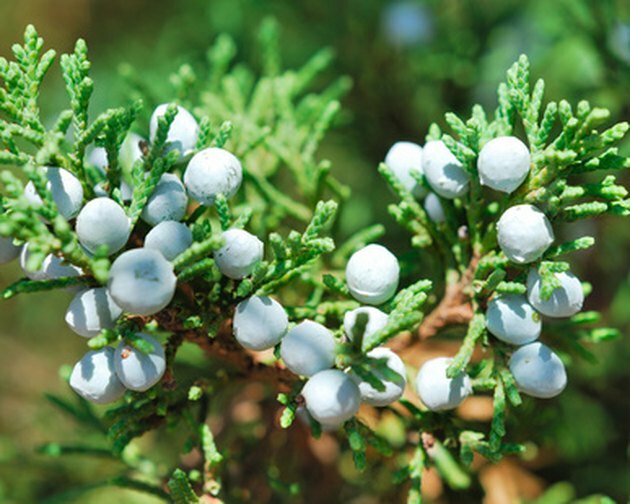 Juniper berries are blue-black when ripe and ready to harvest. Identify the plant you plan to harvest. Using a field guide such as the "Field Guide to North American Trees of the Eastern Region," by the Audubon Society, determine with certainty that the juniper you have found is Juniperus communis. Pick blue-black berries that feel soft and moist, taking care not to bruise or break them when you pull them from the plant. You can make a puree from berries that become crushed if you like; Epicentre states the flavor and texture are "agreeable." Dry your juniper berries at room temperature for about three weeks. Prop a window screen or other screen on brick or boards in a warm, dark, dry, well-ventilated area and monitor their drying progress every day. Discard any berries that turn brown or appear to have holes, which can indicate insects are living inside. Transfer thoroughly dried juniper berries to one or more Mason jars with tightly fitting lids and then store them in a cool, dark place for up to one year.